Written by Megan Burns. Media by Taylor Harpster. Growing up in the church, I remember our women’s Bible study, studying Proverbs 31. I remember people in my church telling me how I should strive to be a Proverbs 31 woman. The passage tells how a woman should be faithful, serving, and the importance of inner beauty, among other things. These are such wonderful things for a woman to live by, but the Bible says even more about being a woman, just a few chapters earlier, in Proverbs 3. Having wisdom is equivalent to being beautiful. A woman who seeks wisdom, it says, is like a precious metal (verse 14). This passage produces the idea that no matter the beauty or wealth of a woman, her knowledge will be more valuable than any imaginable thing (verse 15). It goes on to talk about the blessings that will come. A woman who is wise will be blessed with long life and wealth (verse 16). In choosing paths of peace, they will bring blessings upon those around them. 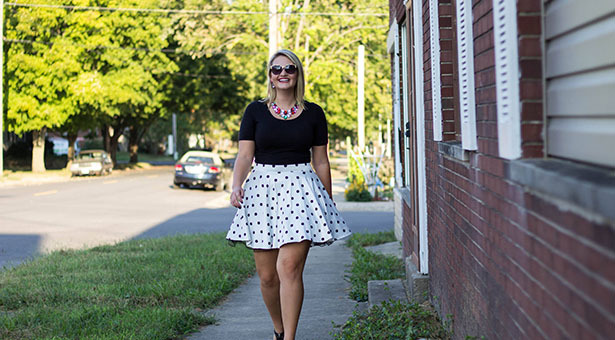 As a woman, it is important to seek wisdom and be surrounded by other women striving to do the same. At that point, you will be blessed (verses 17-18). 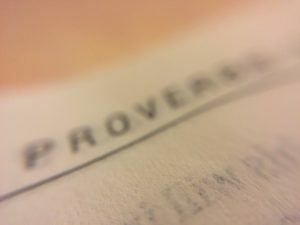 Just five chapters later, in Proverbs 8, it repeats the same thing as Proverbs 3. Verse 11 says, “for wisdom is more precious than rubies, and nothing you desire can compare with her.” The fact that it is repeated, shows the importance and value placed on wisdom. This is not the first or the last time that the Bible mentions the importance of seeking wisdom. James 1:5 says, “If any of you lacks wisdom, you should ask God, who gives generously to all without finding fault, and it will be given to you.” This suggests that it is important to ask God for wisdom. When a woman seeks to find wisdom, she should turn to God. Proverbs 3:19-20 goes on to say, “By wisdom, the Lord laid the earth’s foundations, by understanding he set the heavens in place; by his knowledge, the watery depths were divided, and the clouds let drop the dew.” Knowledge led to great things in this passage. Not only will a woman who does the things described in Proverbs 3 be blessed, but she will be powerful. There is a popular phrase, especially for nursery decorations, that I think relates perfectly. 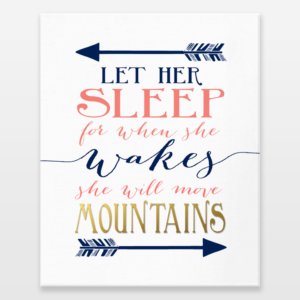 It says, “Let her sleep, for when she wakes, she will move mountains.” This is such a great thing to raise a girl to know, that she can move mountains. If a woman seeks wisdom and strives to gain more understanding, she will not only be blessed, but she will move mountains as well. The chapter does not end there. It continues in verse 21, saying, “My son, do not let wisdom and understanding out of your sight, preserve sound judgment and discretion; they will be life for you, an ornament to grace your neck. Then you will go on your way in safety, and your foot will not stumble.” Verses 21-23, revolve around the importance of men also seeking wisdom. As you can see, wisdom is not just for women. Anyone who seeks such a virtue will surely benefit.